To provide up-to-date research and practice, knowledge and skills to a range of health & exercise professionals. 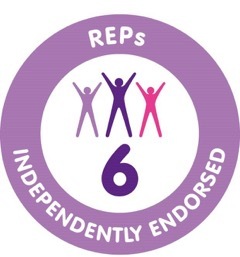 We have put together a Continuing Professional Development (CPD) programme which has been developed for a range of health & exercise professionals. Please note however, some of our study days are only available to Postural Stability Instructors. All study days run from 9.00am to 4.30pm, unless stated otherwise. For a Range of professionals. See where we are currently running our Backward Chaining days for 2019. This study day has been developed for specialist PSI’s and exercise instructors working with older people and floor based exercises. It will provide background to the significance of this critical skill. Consequences of long lies, impact on confidence and independence when the skills to rise from floor are lost. It will also review national physical activity guidelines for older people. This study day carries 6 REPS points as there is no assessment. (Level 4/Postgraduate Level). For a Range of professionals. See where we are currently running our Osteoporosis days for 2019. This day will update PSIs and physiotherapists on the new evidence on exercise and bone health and falls prevention. It will cover both theory and practice, including the exercises, specialist teaching skills and therapy led guidelines for tailoring the FaME programme for those with diagnosed Osteoporosis and Osteopenia. Developed in partnership with the NOS. Tutor: Prof Dawn Skelton, Chair of the recent National Osteoporosis statement on Exercise & Osteoporosis. (Multi-Level). For a Range of professionals. This day will update course participants on the condition, a review of the recent research, a practice discussion (observing video footage of people) on the exercise approaches and tailoring that may be altered for people with different sub-types of Parkinson’s, the use of rhythm and other cues in providing exercise, a theory and policy update to look at physical activity and exercise guidance for people with long-term conditions such as Parkinson’s and a practice update: An example using circuit exercises and progressions. This study day is written and delivered by Dr Bhanu Ramaswamy OBE, FCSP, a Physiotherapist specialising in the management of older adults and people with neurological conditions such as Parkinson’s. You can get further resources from the Parkinson’s UK resources, click here. Tutor: Dr Bhanu Ramaswamy OBE. (Level 4/Postgraduate Level). For qualified PSI’s only. to keep informed about future courses please sign up to our mailing list. This study day is only available for qualified PSIs working in community and NHS settings. However, it would also be of interest to any OEP Leaders who also hold a L3 Older Adult or/and L3 GP Referral Qualification. The day will include research updates in falls prevention and best practice delivery of evidence based strength and balance programmes (what we should be doing!). Tutors: Prof Dawn Skelton/Vicky Johnston/Sara Paul/Bex Townley. (NB. this study day is open only to Physiotherapists and Physiotherapy assistants who hold the PSI qualification). This day is led by an eminent Physiotherapist in Falls prevention. It will provide an update on therapy-based approaches to falls prevention in a range of clinical settings, and an update on dizziness and vestibular issues in older people with assessment and treatment options. It will also discuss and demonstrate the therapy led guidelines for tailoring the OTAGO and FaME exercise programmes and the protocols and considerations involved in setting up a Falls Exercise Service. (Multi-Level). For qualified PSI’s only. This study day is only available for PSIs i.e. who have completed training and achieved the qualification (in the delivery of the FaME programme). PSIs are working within their scope of practice in delivering adapted Tai Chi as part of their delivery of FaME. We do not prevent anyone attending our training days. It is the responsibility of the attendees to ensure they have insurance and appropriate qualifications to deliver Tai Chi moves prior to booking onto this day. This day will update PSIs on the evidence behind Tai Chi for health improvement and maintenance of balance. Progression of the moves taught on the PSI course plus new Tai Chi moves that can be incorporated into PSI sessions, will be practised in individual and group formats. Using Sighted Guided Techniques, and Breaking down barriers for visually impaired people, this study day can benefit instructors and health professionals at all levels working with visual impaired patients/clients. Highlight the most common eye conditions (simulated through the use of special glasses to give attendees the opportunity to experience what it might be like to live with these conditions). Study days, when set, can be found on our CPD Map. Please book online via the green “Book Now” button on the navigation bar above. Before booking please read the CPD Terms & Conditions. If there are no dates set for the study day you are interested in, please join our mailing list to register your interest. Dates will be set in response to interested numbers and preferred geographical locations. All study days are £110 plus VAT. A 10% discount is available on all study days, for anyone that has taken out a LLT membership package. If you’re interested in becoming a member please contact the LLT Office Team on info@laterlifetraining.co.uk, or telephone 01838 300310. This course is designed to provide professionals with a functional fitness toolkit and the skills to educate and discuss components of fitness and the physical activity guidelines with older people and motivate themselves to be more active. 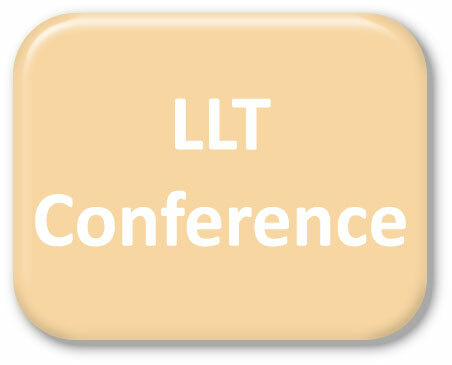 This year’s conferences are aimed at all who have attended LLT training over the 15 years we have been in existence, but are also available to anyone who want to know more about LLT training and get a taster of the LLT experience. Are you a PSI and want to refresh your practical teaching skills? Qualified PSIs have the chance to to come on a PSI course near them for a two day refresh of their practical teaching skills and to update their knowledge. They can attend Days 1 and 2 on any of the PSI courses listed on the Course Dates page. Days run from 9am-5.30pm and the cost to attend is £100 (plus VAT). Please note this cost does not include an updated manual, if you would like to receive an updated set of resources you will have to buy these separately. If you are interested in attending one of these revision sessions please contact us at the LLT office. Please note that this refresher session does not carry CPD points, however you will receive a certificate of attendance. Want an LLT Qualified Logo?